Gary Galbraith, named “Innovator in Dance Technology: Smart Creatives” by the Cleveland Plain Dealer, has been exploring, developing, creating, and producing dance works that utilize various forms of technology to enhance and augment the creative process and audience experience since 2000. Among his many works, his early Kinetic Shadows, which was an early implementation of high speed network technologies via Internet2, broke many barriers utilizing video streams and was a finalist in the Northern Ohio Live Awards. He conceived and co-created In Common Space, a network enabled dance for six dancers, two in Cleveland, two in Miami, Florida, and two in Gainesville, Florida where the performance was experienced by three separate audiences in separate theaters all simultaneously. Distant Encounters utilized the latest applications in broadband and live on-stage holographic-like visualization technologies and was presented to an invitation-only audience of visionary and thought leaders in the fields of technology and the arts. 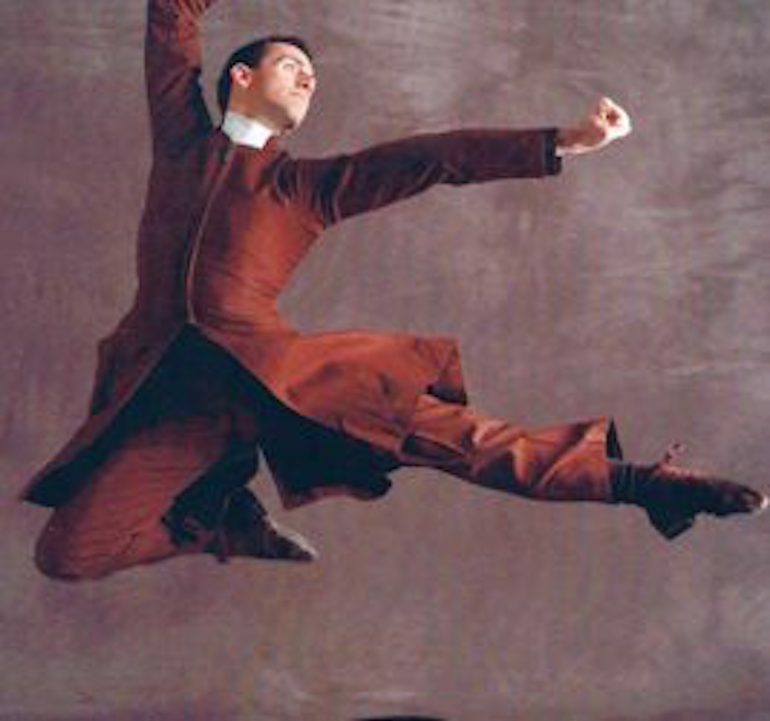 Mr. Galbraith was also a principal dancer with the Martha Graham Dance Company where he danced many of the prestigious male roles in the repertory that Graham created. During his tenure with the company, Galbraith was also featured in new ballets created for the Graham Company, including Robert Wilson’s Snow on the Mesa and But Not For Me by Tony Award winning choreographer Susan Stroman as well as serving as rehearsal assistant for the company. Lucinda Childs choreographed Histoire on him which was premiered by the Graham Company and which he later premiered in Cleveland. He has been a regisseur of the Graham ballets and has staged works for schools and companies around the world. Prior to joining the Graham Company, Galbraith danced with the Jose Limón Company, where he performed some of Limón’s noted works such as Missa Brevis and The Unsung throughout Europe and in the United States. He has been a guest solo artist at international festivals such as the Men in Dance Festival in Salvador, Brazil; the Suzanne Dellal Dance Festival in Tel Aviv, Israel; and the Berner Tanztage in Bern, Switzerland. Galbraith has also been a guest artist and rehearsal director for the Modern Dans Toplulugu, the modern dance company of the State Opera and Ballet of Turkey. Mr. Galbraith’s work in dance medicine and science is internationally recognized. He was the invited keynote speaker for the 2010 annual meeting of the Performing Arts Medicine Association and he is a member of Dance/ USA’s Task Force on Dancer Health. Additionally, he is the developer and director of the Dancer Wellness Project, “..a consortium of organizations (professional dance organizations, universities, schools, and medical clinics) that promote dancer health, wellness, education, and research through the implementation of dancer screening, exposure tracking, and injury surveillance.” The DWP serves numerous professional companies, schools, universities, and clinics around the world. Mr. Galbraith is recognized as one of the distinguished alumni of Case Western Reserve University (CWRU). As Professor of dance at CWRU, Mr. Galbraith is the Artistic Director of Dance and teaches advanced modern technique, choreography and dance wellness. Mr. Galbraith was honored by the graduate students of Case Western Reserve University with the 2005 Diekhoff Award for excellence in Graduate Teaching.